Happy Halloween. Here in Birmingham, there's almost another hour of it to go. After a cool weekend, the weather turned warm again, warmer than I'm used to for October 31, after living in New England for ten years. Still, all in all, it was a good Halloween. Spooky and I visited the Brass Bear again, and then we went out to Leeds for Halloween chili with my mother and sister. We lit the pumpkin again that we made on Saturday, and the trick-or-treaters were just starting to appear when we headed back to Birmingham. 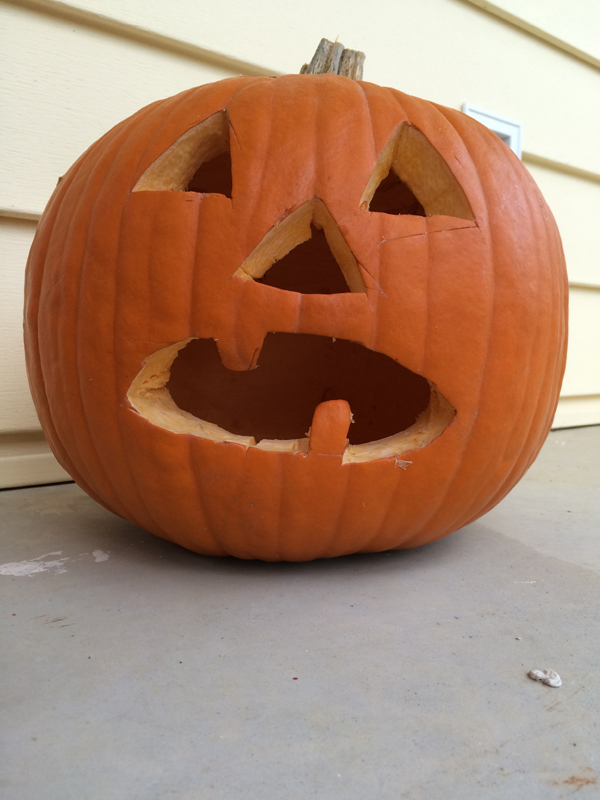 We carved our pumpkins on Saturday and by Halloween they were completely disintegrating. We only had one trick-or-treater and she wasn't wearing a costume. I miss the old days.